By AmericanWarriorDecals, February 9, 2018 in Business Practices, Sales and Pricing, etc. Alright guys, so this is going to be my first large decal and install for a customer. I just do this on the side for fun and passive income mainly. 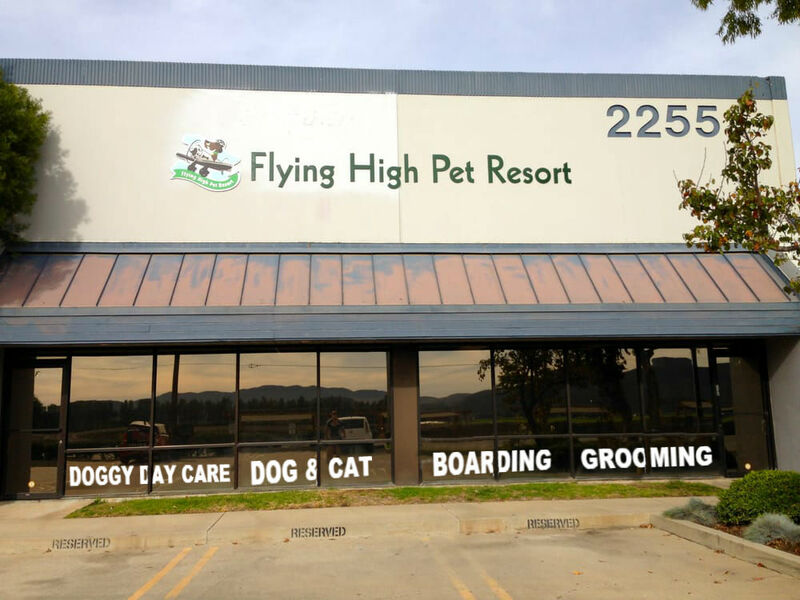 The place where my wife and I take our dog for boarding found out I did decals and they reached out. I haven't gone and measured it exactly yet, but I imagine each panel is 4-5' wide and about 2-3' high. I'm going to offer 651, 751, or 951 as options with the "up to" life's of each given. I was planning on doing a wet install with Rapid Tac (maybe just pick up some Rapid Tac II based on what I've been reading). Any input is welcome. From what I have read here on other threads, it seems most charge around the $10 per linear foot range. I estimate this to be about 30-35' of lettering so, $300-350 just on material cost to customer for 651. I'm trying to figure what I would have to charge for the 751 or 951 if they wanted it. Also, I have never done an install like this (or really ever but it doesn't deter me), so I'm really struggling with what to charge for the install? I'm thinking maybe $100-150, so maybe in the $500 range for the 651 install with supplies and misc costs figured. Does this sound fair or is it way over? I have included a very rough mock up I made. Any feedback is appreciated. For me I'd be around $200-250 for material and about 2 hours of time@$60/hour. So my range is $320-370 for the job. You didn't mention removal of any old graphics so that is not included in the price. This is assuming there isn't much travel involved. I was definitely going to heavily discourage the 651 since its calendared. I know 751 is the minimum go to typically so I was going to really press that. Happy to hear that. Nothing old to remove, just basic larger lettering and about 2 hours work sounds fair for me and any learning curve. They want another smaller decal on the door so I'm thinking $400 should do it. We are going to need to board our dog for 2 weeks next month so I'm hoping we can put that $400 towards it in credit, or they can just do it one for one (fingers crossed). Since it's going to cost us $825. That would definitely be a good savings off for me at any amount close to half that. I'll definitely have to buy 2 rolls for this just in case of mistakes so that's about $106 from a local supplier. Not too bad still. Heck if you know you are going to spend over $800 there I would just toss it out as a straight up trade right off the bat and see if they bite. Don't give them the actual quote. They will be happy and so will you. That's exactly what I was thinking! See what they say. Just out of curiosity, why along that lower portion? With cars parked in those spots, the message will be hidden. They've got plenty of windows, how about raising the lettering up to the top? Glad people here say 751 is the best to use i have ordered some and only plan to make decals for customers out of 751, I had people yesterday on FB telling me 651 is just as good as long its going on glass and not over rivots and stuff. Owner's request, but I could bring that up when i get there for the "quote" this week. Could be a ordnance thing. I know around parts of town here you're not allowed to cover more than a certain percentage of the store front window. She wanted cash instead to be paid. So what I did was charge $400 installed and also making another sign for her other door that people use on accident. Hopefully that works out. After buying materials and such I should net about 300. Going for a wet install here since I will get some wiggle room.